As published in HORIZON – The EU Research & Innovation Magazine on February 12, one of the major results from the epiXchange projects is the development of biomarkers for epilepsy diagnosis. Identifying biomarkers and changes to brain structures may ultimately lead to new treatments. ‘Combining biomarkers is key,’ said Prof. Merab Kokaia, coordinator of the co-organising EPITARGET project. ‘It could make treatment more personalised in the years to come. Another interesting result as published in HORIZON on April 6 is the fact that delaying epilepsy onset through preventive medication in children with related disorders could reduce the impact on development of epilepsy and other related symptoms. ‘If you have a brain malformation… there is nothing you can do to revers it. But… if you can prevent epilepsy from aggravating the situation you can improve the clinical status of these patients’, said Renzo Guerrini, coordinator of the co-organising DESIRE project. Efforts have been made to pin down the genetics behind the disorders. Blood samples of babies at four key moments – at birth, when the EEG first begins to pick up problems, when seizures begin and at two years of age may help us to develop new drugs. ‘We have a very, very unique situation. For the first time we have access to the molecular story before epilepsy’, said Prof. Sergiusz Jozwiak, coordinator of the co-organising EPISTOP project. These findings and many others will be showcased at epiXchange. 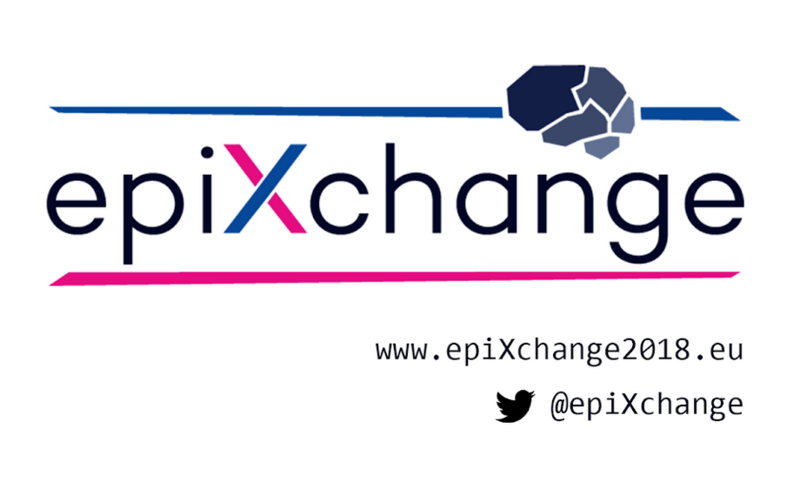 To boost the impact of the event, the epiXchange partners are preparing a white paper, presenting the current state of the art in epilepsy research, major bottlenecks and recommendations to shape the way for further research breakthroughs, to move forward to new ways of treatment and to bring research results closer to clinical application. neurological co-morbidities to reduce the high burden of co-morbidities in epilepsy. epilepsy community as well as the press.